David Airlie has a last-minute pull request for the Linux 3.4 kernel following last week's main DRM pull. This latest Git pull request is set to introduce DMA-BUF PRIME support in the mainline kernel. What this work does is setup the DRM DMA-BUF interface layer that they call PRIME. The initial DMA-BUF support, worked on by Linaro developers and others, was pushed into the Linux 3.3 kernel but isn't widely used yet in the mainline tree. For those not familiar with the DMA-BUF buffer sharing infrastructure for the kernel, see DMA-BUF Is Ready To Push Forward Linux Drivers and NVIDIA Talks Of Optimus Possibilities For Linux. This work is especially important for ARM hardware and graphics drivers. 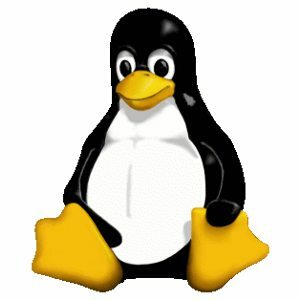 The PRIME pull for Linux 3.4 doesn't implement any driver support, but is just the underlying work to make this DMA-BUF implementation available to DRM drivers. They hope to have something ready in terms of driver implementation for the next kernel cycle (the Linux 3.5 kernel). At the moment there is work on Nouveau, i915, UDL (DisplayLink), Samsung Exynos, and Texas Instruments OMAP for taking advantage of this open-source work. There's also VGEM involvement. This new work is exposed via the DMA_SHARED_BUFFER kernel configuration option and automatically enabled for building when building DRM driver support. The DMA-BUF PRIME pull request can be viewed at LKML.org.